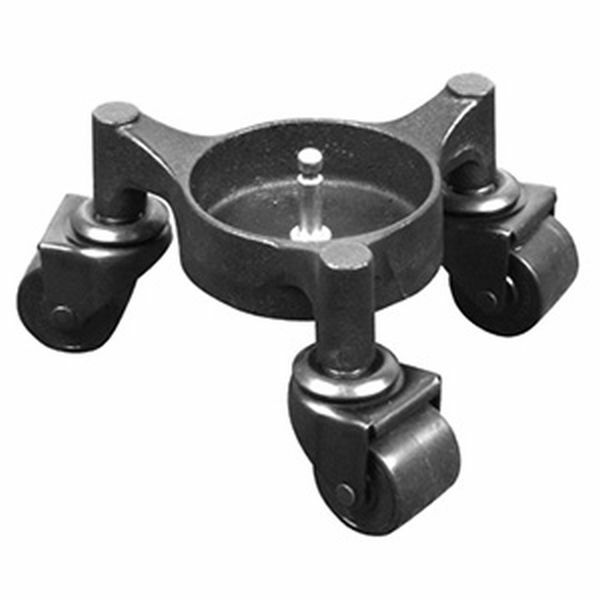 Cast Iron with 3 sets of double ball bearing swivel rubber casters. 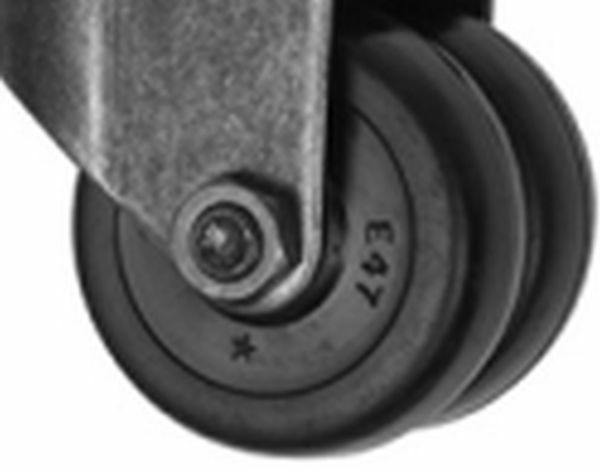 The 'spring mounted spindle' allows for easy movement over rugs or high spots. Raises the piano no higher than standard casters. These dollies do serve their function, but cannot fully give the protection and the durability of a Grand Piano Stage Truck Dolly. From wheel to wheel 6-3/8"
These Dollies should not be used in place of a Grand Piano Truck Dolly that needs to be moved more than a few inches. I'm most pleased with the Schaff piano leg dollies. They perfectly meet the need of assuring safe movement of my valuable piano. I am grateful for the information given by the telephone representative which led to my choice of product. She was courteous, efficient, and precise about all details, including the delivery date, which was unbelievably prompt. I will highly recommend your company. The leg dollies arrived very promptly and were installed by a local Steinway technician. They look great, give the safe mobility we needed, and add nothing to the height of the keyboard. Thank you for your service! Perfect. These appear to be a significant upgrade. Order and fullfillment were flawless. Once the issue of payment was resolved the transaction went very smoothly. Purchasing from a public school is much more complicated than a private individual. The products were delivered very promprtly, and I am very pleased with the set of dollies.